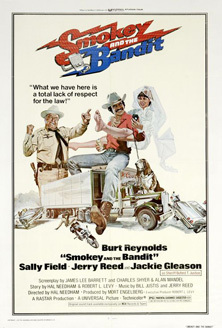 Smokey and the Bandit is a 1977 American action comedy film starring Burt Reynolds & Sally Field. 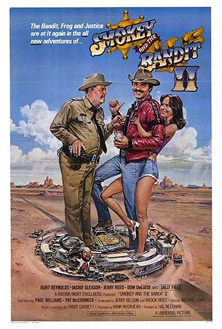 It inspired two sequels, Smokey and the Bandit II and Smokey and the Bandit Part 3. Smokey and the Bandit was the second-highest-grossing film of 1977, second only to Star Wars. Four 1977 Firebird Trans Ams were destroyed in the first film. A promotional car owned by Burt Reynolds sold for over a half of a million dollars.